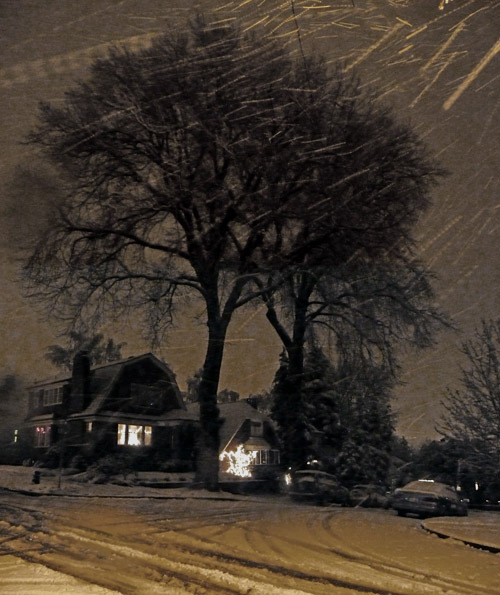 About 9pm I walked to the corner of 42nd and Eastern and supporting my hand against a power pole took this streaked view of tonight’s wet snow, which I am told will be gone when I rise in the morning. 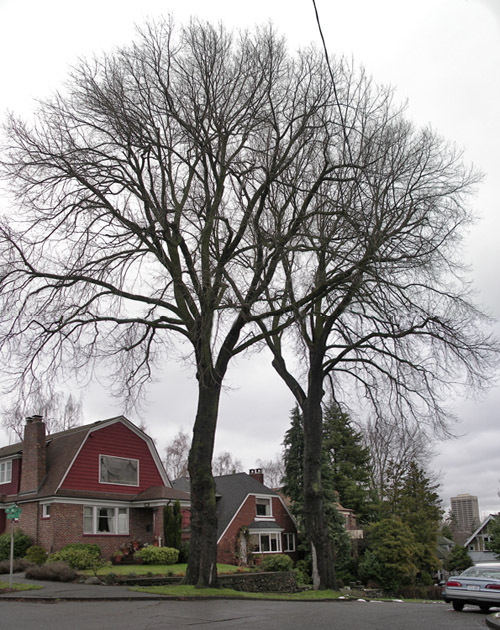 Kit-korner are two American Elms, which are listed as Seattle landmarks. About fifteen hours later I revisited the corner and took the view below. Another 15 hour lapse – one block west at 42nd Street and Sunnyside Avenue. Previous PostHappy New Year from BB!Next PostSnow in Paris! Be careful not to slip and fall. It is Very slippery out there not to mention cold. The other night I felt like I was in Montana! Jeeeez that’s gorgeous, Paul. It reminds me of an etching I once coveted.